1 Peter 3:10 "To sum up, all of you be harmonious, sympathetic, brotherly, kindhearted, and humble in spirit; 9 not returning evil for evil or insult for insult, but giving a blessing instead; for you were called for the very purpose that you might inherit a blessing." Whenever one talks about "God's calling", reference is made to the urgency He places upon our hearts to follow His leading. Salvation is the most important calling, issued forth to sinners (see 1 Corinthians 1:18-21; Ephesians 2:1-10; 1 Peter 2:21; 1 John 3:1). The Christian life following from salvation is a call to walk in a manner worthy of such a calling (see Ephesians 4:1). The calling of God to Christian living is a calling to bear forth spiritual virtues - i.e. "the fruit of the Spirit" (see Galatians 5:22; 2 Peter 1:3-11). 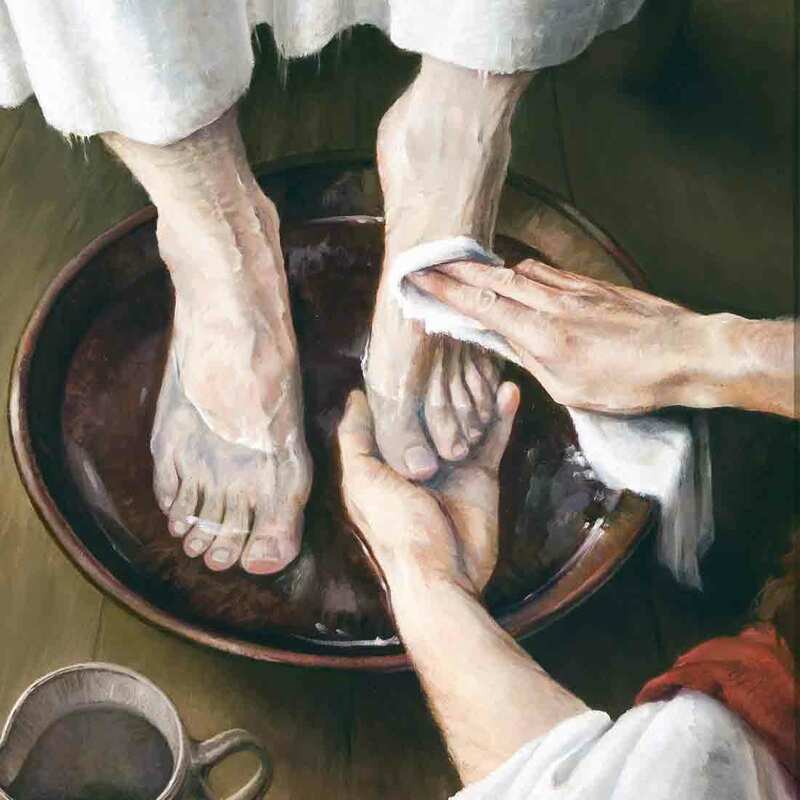 One such virtue that brings the believer closest to the character and Person of Christ is that of humility. In today's post we want to explore Peter's exposition on the call to humility in 1 Peter 3:1-21. Whenever we think about the words "obedience" and "humility", what comes to mind? Obedience is associated with "duty", "allegiance" or "doing what has to be done". Obedience carries with it the sense of moral obligation. Hence, it is every person's moral obligation to heed the Gospel. Whenever one responds in saving faith, they are taking upon themselves a response to the urgency of their souls: believe, repent and be saved from the wrath to come (see Romans 5:9-10; 1 Thessalonians 1:10). Oftentimes in the Christian life, obedience is that initial step in exercising one's faith in God. In obedience, I know what I "have-to-do". Duty ties my faith to the commands of scripture. 1 John 5:3 states - "For this is the love of God, that we keep His commandments; and His commandments are not burdensome." Therefore we could say that obedience deals in the realm of "have-to's". Humility differs in kind from obedience. Unlike its cousin obedience, humility emphasizes voluntary action on the part of the one exercising humility. Humility is where I go from "having-to" to "wanting-to". In as much as Jesus did indeed obey the Father in coming to earth as God-incarnate (see Hebrews 10:1-5), His mission was not based only on obedience. The Savior of men did what He did willingly. Jesus acted out of desire - not bare obligation. Humility is where I yield to another out of voluntary desire. The truly humble child of God has crossed the threshold of obedience. They recognize God's commanding authority in their life. Humility is desiring to carry out in relationship and submission to others what one has learnt in obedience. Only when one obeys God can they then act in humility. These areas of humility give a clear picture of what Christ-like humility ought to be. For the Christian in the culture, humility entails remaining faithful to God regardless of the character of governing authorities (see Romans 13). Slave/master relationships correspond to employer/employees arrangements today. How a Christian humbly conducts themselves can speak volumes in a workplace (see Ephesians 6:5-9). Church-life that is characterized with mutual humility among the membership testifies to a watching world the mindset of Christ (see Philippians 2:1-5). Then we find humility weighing quite heavily in how one faces suffering and its ultimate expression - martyrdom (see 2 Timothy 4:6-8). So what about humility within the marriage relationship? Particularly, what does Peter mean (note underlined word) when he states in 1 Peter 3:5-7 "For in this way in former times the holy women also, who hoped in God, used to adorn themselves, being submissive to their own husbands; 6 just as Sarah obeyed Abraham, calling him lord, and you have become her children if you do what is right without being frightened by any fear. 7 You husbands in the same way, live with your wives in an understanding way, as with someone weaker, since she is a woman; and show her honor as a fellow heir of the grace of life, so that your prayers will not be hindered." In what sense is Peter referring to the wife being "weaker"? The form of the underlying Greek noun that translates "weaker" is a comparative term. The only other time this particular form of the noun occurs is in 1 Corinthians 12:22. In that text, the Apostle Paul describes the spiritual gifts operating in Christ's church as parts of a physical body. He describes how parts of the body that are not as physically strong retaining their importance from how they are supported by others. If one reads carefully the context of 1 Corinthians 12, physically weaker parts of the body do not imply diminished importance. Although a person's eye is physically weaker than one's arm, yet, if the eye is damaged - the averse affects are worse than injury done to an arm. The sentiments expressed by Paul can aid us in understanding Peter's words. Although most husbands are physically stronger than their wives, as commentator Robert Leighton notes: the choice of term used here by the apostle is intentional to remind the husband that he too is weak. There is nothing at all to glean here about the wife being morally, spiritually or intellectually inferior to the husband. If for anything, wives often excel their husbands in moral, spiritual and intellectual areas. Any Christian husband worth his salt ought to recognize that his life is greatly improved because of his wife. Her humility or submission is voluntary. If both spouses are Christian people, both are on equal par with respect to being fellow heirs of life. Christian marriage ultimately pictures what we find to be the case between Christ and the church (see Ephesians 5:22-33). Although the church is to humble herself under the Lord Jesus Christ, yet, Christ has in His incarnation chosen to present unto Himself a chosen group of people that have equal access to all the blessings of God as "joint-heirs" in Christ (see Romans 8:17). Christian Husbands and wives too, though different, are of equal value in God's sight morally and spiritually. The call to humility takes all of these various areas of life and places them between the bookends of 1 Peter 2:21-25 and 1 Peter 3:18-21 (the texts that feature Christ, His character and His work). Christ is the beginning and end of humility (see Philippians 2:5-11). Heeding the call to humility takes my "have-to's" and turns them into "want-to's"
Peter reinforces his exhortation on humility with 1 Peter 3:8-17. Peter's quotation of Psalm 34 in 1 Peter 3:10-12 gives us a source for better applying this section on the call to humility. Psalm 34 is all about the blessings that come with humbling oneself under God's guidance and wisdom. Psalm 34:8 in particular speaks of how "blessed is the one that takes refuge in Him". When my "have-to's" have been transformed into the "want-to's" of humility, I will "taste and see that the Lord is good" (see Psalm 34:8). The humble-minded believer finds courage to yield to God in the face of opposition once they have "set Christ apart in their hearts, ready to give an answer" (1 Peter 3:15). As we go down the homestretch of 1 Peter 3, we arrive at 1 Peter 3:18-21. Without a doubt the statements made about Christ are both rich and challenging to interpret. One detail worth mentioning centers on God working in the life of Noah. Noah is featured as a man that humbled himself under God's mighty hand whilst the Spirit of Christ worked through his pleadings to his generation to believe, repent and be saved from pending wrath. The take-away here is that the humility that is most effective is that of Christ's humility working through a heart that has humbled itself to Him. Noah did that - and we ought to as well.